This fresh apple pie dip is perfect for dessert, an afternoon snack, tea parties, used as a pie filling or topping your favorite ice cream with! Great for the holidays. I hope everyone had a wonderful long Labor Day weekend! Long weekends are the greatest thing known to man, aren’t they? That one extra day off just make a world of difference. I could really get used to that! Now that it’s the “official end of summer”, let’s talk about this fresh apple pie dip. This dip version of apple pie is as scrumptious as it sounds. I love all things Fall, but most of all, I love all things Fall that are food-related. So when I came across a recipe for apple pie dip, I thought “what a clever idea!” Earlier in this fall season, I usually start craving pumpkin something bad, because that is always the base for most ALL of my fall desserts. Now it has turned to apple! If you’re making this apple dip for a larger crowd, definitely double the recipe. I made in on a night we were just having a few friends over for dessert, hot apple cider, and a campfire and it was the perfect amount of dip. The only time-consuming part of this recipe was the apples: peeling, coring and cutting the apples is kind of a pain, but totally worth it in the end. I have an apple peeler with a vacuum base that makes my life a LOT easier. I highly recommend buying one if you bake a lot with apples! I found mine at an estate sale for $2 and the box was never even opened! This apple dip would make a great pie filling, ice cream topping… or even yogurt topping. I’m definitely adding it to my Thanksgiving appetizer list! If you’re diving into all things apple, you will love my Cinnamon Apple Pie Bread. Baking this bread makes your house smell amazing! Also, the pictures don’t do it justice, but this is the best apple crisp you will ever have. I’m also all about this Dutch Apple Pie from my friend Michelle. Enjoy! This fresh apple pie dip is perfect for dessert, an afternoon snack, tea parties, used as a pie filling or topping your favorite ice cream with! Set aside. You can serve this warm or chilled. It doesn’t matter. It will taste delicious. Sprinkle a little more cinnamon on top right before serving (optional, but looks nice). Serve with cinnamon-sugar pita chips! 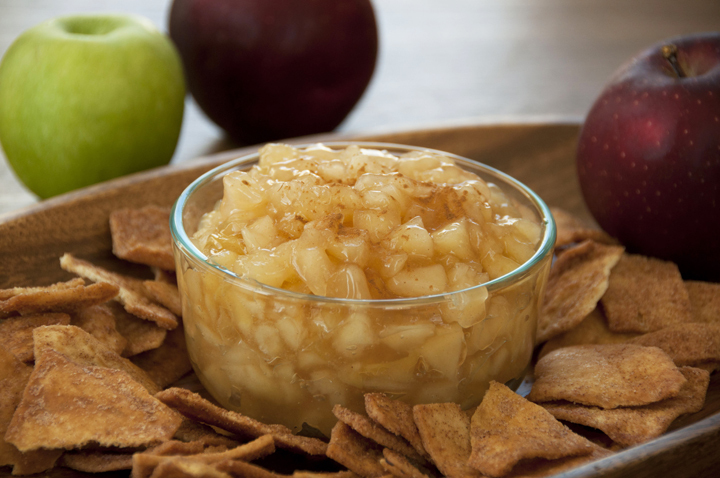 Cinnamon pita chips sounds delicious with this apple pie dip! I can snack on this all day long! Have fun in Washington DC! Thanks so much! It’s really fun here! This sounds and looks so delicious!! Do you think you could use the can of apple pie filling? I think that can definitely work, it might be a lot sweeter though since I know there’s a lot of sugar/syrup in the can (I believe)! What a creative dip! Love this, Ashley! This dip is genius, I would probably just eat it with a spoon though! No chips even needed with this dip! Can I use something besides corn starch? My hubby is allergic to anything corn. 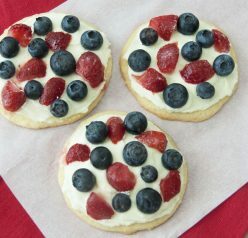 You can always use tapioca starch/flour or potato starch! Sorry it took me so long to get back to you! Yum, this is super clever! Love those cinnamon sugar pita chips! 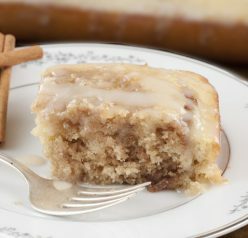 This would be AMAZING with cinnamon/sugar chips! Awesome idea! I’ll just eat it with a spoon and leave it at that!! So glad you’re enjoying DC — it’s one of my favorite places to visit, too! Haha, and it IS a very clean city. Last time I was there, there were some advertisements in the Metro stations boasting how clean and efficient their subways were. I have a feeling it was meant to be a dig at the NYC subway station, haha. Anyway, this recipe looks delicious. I have some Trader Joe’s cinnamon pita chips sitting in my pantry — would be perfect for this recipe! I bet you’re right about it being a dig on the NYC subways. I hadn’t been to DC since I was a kid so I guess I didn’t remember just how clean it was! I hope you make this dip and enjoy it! Oh yum! This sounds awesome 🙂 Have fun in DC! 9 1/2 c water, 4 1/2 c sugar, 1 c cornstarch. Combine in large saucepan. Cook until thickened,stir constantly. Stir 7 qts fruit into syrup and ladle into jars. Leave 1 inch headspace. Tighten lids and process in boiling water bath for 25 min. I have also sliced the peeled apples into the jars, and then poured the syrup into the jars over the apples. Great for quick cobblers, crisps, or pies. I love giving this as a gift with a cute ribbon and cooking suggestions! Do you think it would taste just as good without the apple cinnamon pitas and just the plain ones? Thanks for linking me up! Glad you liked it! wow, finger licking good dip! i love when the apple is still chuncky…..
have a great week then! I love anything and everything with apples! I don’t even need chips with this dip, I’ll just use the spoon! 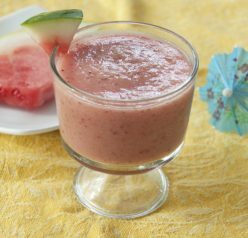 Such a wonderful and healthy recipe! I think this would be good warm, on vanilla ice cream. I bet you’re right!! Great idea! Yum! !I just added a bonus recipe to my apple recipe round up with an apple pie dip. Mine has a cream cheese base with the apple pie filling on the top. You can clearly see how we both are looking for easy ways to get our apple pie fix 🙂 or perhaps we´re just lazy? haha NOOOO! Good to see this recipe reappear! A really good and creative one — thanks! Can you make this days in advance and keep in refrigerator?